Question: Did Jesus grow in Grace? 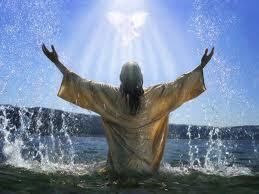 When Jesus was baptized, the heavens opened up and the Holy Spirit descended on Jesus like a dove (Luke 3:15-16, 21-22). Question: Did Jesus grow in Grace as a result of His Baptism? Short answer: No. Because the Son was in complete union with God, He always had full grace. By baptism, men are made to be true sons of God, washed from original (and any actual) sin, infused with the virtues and gifts, built into a true temple of the Holy Trinity, and joined to the mystical Body of Christ which is the Church. Through baptism, heaven is opened to us. However, heaven was ever open to Christ. Even from the moment of his conception he was the Son of God (by nature), he had no sin, he was filled with the perfection of all the gifts and virtues (as well as of all knowledge), his human soul was indeed that place where the fullness of Godhead deigned to dwell. Father Erlenbush’s full answer is well worth reading.